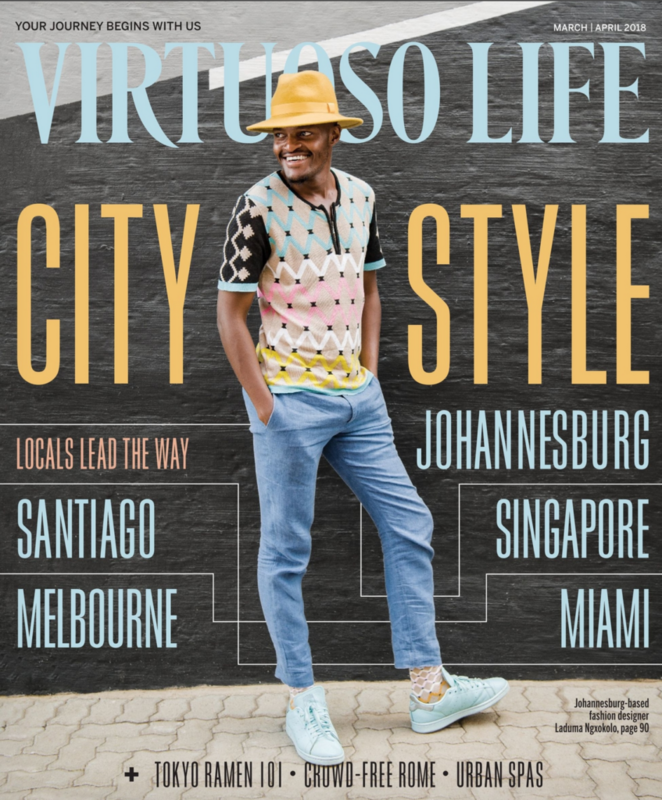 I wrote the cover story for the March cities-themed issue of Virtuoso Life – an interview with South African designer Laduma Ngxokolo about what he loves about Johannesburg. Also in the issue: chef Aaron Turner told me about his favorite Melbourne spots, and Singaporean novelist Sharlene Teo chatted about her hometown haunts. Read it here.